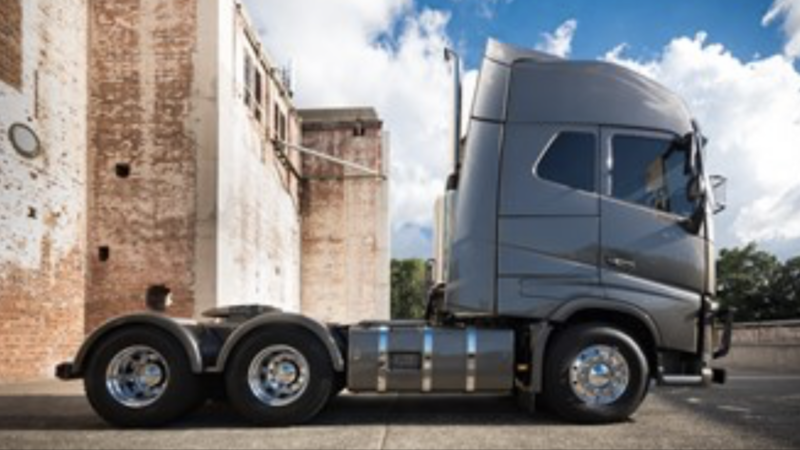 Volvo Trucks has showcased a concept XXL cab for the Australian market. Just like the previous FH model the new FH is also going to offer more interior space. The cab is 20 cm longer than the standard FH sleepercab and that gives a lot more interior space. The longer cab is still a concept and not for sale yet, but Volvo seems to be serious about it. 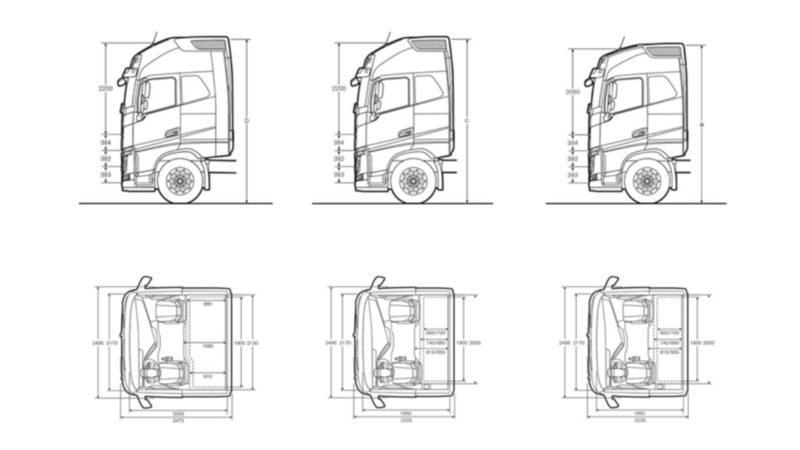 Funny enough we found the same longer XXL cab on the official British Volvo website, complete with all the sizes. The illustration shows the changed air deflectors. Illustration from the official Volvo UK website. You see the Globetrotter, Globetrotter XL and the XXL cab. Total length 2475 for the XXL and 2225 for the other two. That makes it even 5 cm longer than the Australian concept cab. The difference with the Australian concept is that the UK version seems to be stretched inbetween the side deflectors. The Australian concept cab has longer side panels. The space behind the storage lockers show that. We wonder if one of these cabs is going to make it to series production, and we do give the UK version the best change.